Charlbury station is famous for its original Brunel designed wooden chalet style station building, which managed to survive the GWR rebuilding of nearby stations such as Kingham and Moreton-in-Marsh. The 1853 building was restored in 1979, and is now Grade II listed. This is the view from the car park on 10 April 1987, before parked cars made the view more difficult. 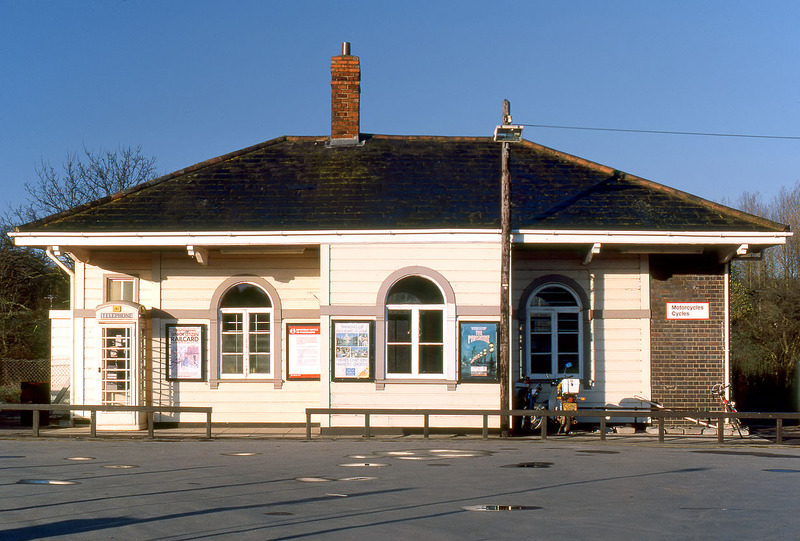 This also shows the station in a slightly lighter colour than at present (or else more faded), and even includes a matching cream coloured telephone box.